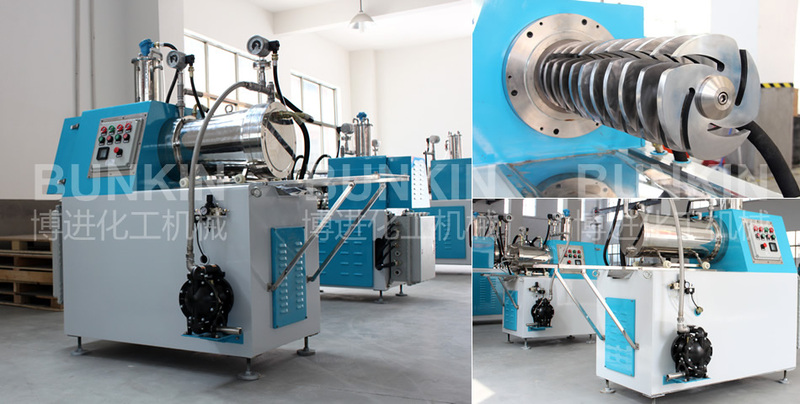 Disc Horizontal Bead Mill_Anhui Bunkin Chemical Machinery Co.,LTD. The delivery pump circulates the material from the tank to the grinding chamber. The disc drive the grinding beads and material to handle irregular movement and friction hardly, so the material can reduce particle size after milling when they passed through the separation screen. The milling chamber is designed with cone shape, which makes the grinding medium to get high energy at the entry of materials feeding. Therefore, the liquid materials can be milled strongly from the beginning, and the milling result is much better than the straight-shape mills. 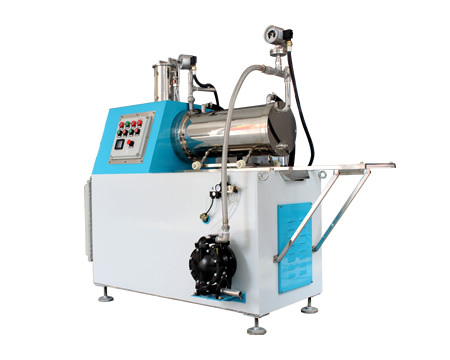 The dynamic separation is made of powder alloy material, which has the advantages of self-cleaning, without blocking for high viscosity material and super anti-wearing resistance to make long lifetime for the mill. ESWS series sand mill is used Burgmann from German for its mechanical seal. The surfaces of dynamic or static rings are both made from carbonized Silicon. And the O-ring is made of Teflon, which can bear the corrosion caused by strong solvent.